What are the most important strategical elements to really have down pat as part of your singles and doubles game? 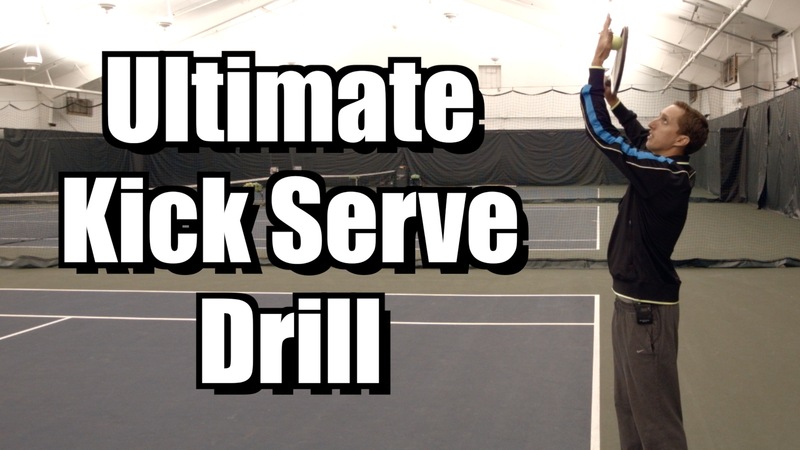 That’s exactly what I’ll be focusing on in today’s video tennis lesson: several foundational elements that you absolutely must be proficient in. Questions? Comments? Leave them below. Thanks so much for watching! Great and good reminders for me who has played tennis for over 40 years!! Thank you Ian. I love your comments. I am 69 years old and play with a group of women and my husband. Your tips keep me going! Thanks so much. Thanks for all the tips. I really appreciate your website and podcasts. I too, go nuts with doubles partners who hit balls to the opposing "net man" (or woman) when they just don't have a really good offensive position and offensive shot. I think it's usually trying to do to much too soon. And as you get better and move up the ratings and rankings, the net person is going to be that much better, too, and will be able to handle lots and lots of shots that come their way that are anything less than a dead bang put-away.. Yes, we want to end points quickly…but only as quickly as reasonable. I think modicum of patience always pays – singles and doubles. Excellent tips for my high school players. But on either volley, might it be safe to recognize that the return of voley often goes to the opponent diagonal from player hitting the ball? Net player returning a neutral or defensive volley hit s to the farthest player (often cross court) and then same with the offensive volley (cross court). 'I've noticed club players are being encouraged to develop "weapons" rather than an all-around game. How do you feel about this view as a coach? Is the average club player uncoachable as to the discipline, shot selection,and mechanics that an all- around game requires? Cheers Ian. Very insightful tips. Would it be fair to say that in double's if you receive a tough first volley at full stretch near the tram lines you are better hitting it back down the tram lines near the opponent at the net rather than a low percentage shot cross court? Ian, watched a video of a well known coach ( Tom Avery) saying always go down the line in singles, but you say crosscourt ??? and you're opponent will go down the line as well unless there is good space. Why do you not see ambidextrous players playing with two forehands, at least at the rec. level? I am basically right handed but developed a left hand forehand that is better than my right hand or two hand back hand. Quick hand change is a necessity but I find the longer reach on the left hand forehand and opponent confusion worth it. Great job on the doubles/singles strategies'. Keep the costing tips coming! Nice to be reminded of basic strategies. We recreational player get hung up on other things. As always, a good lecture. However, you did not discuss strategies, you discussed TACTICS. I would be interested in a lecture or lectures discussing strategies: how to devise a plan of attack and defense to take advantage of one's strength and the opponents weaknesses. Thanks. Simple but important advice. if i had been taught this 30 years ago i would have saved a bucket of money on tennis lessons! one of your best videos ian. Ian, great tips! Some might think these tips are beneath them because they are more experienced, but I think a reminder of the basics is very valuable. Sometimes those of us who have been playing a while get caught up in trying different things, so it's good to be reminded to get back to basics with simple patterns. Thanks! Regarding overhead smashes: What is the best grip? What is the best footwork to retreat with? Where should you aim? 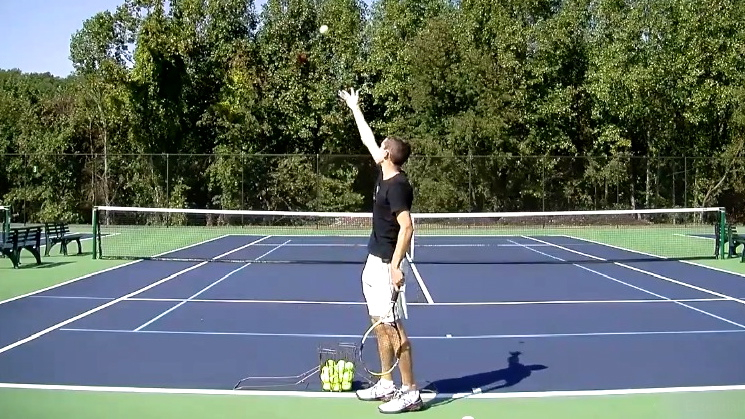 How do you decide whether to use a high forehand or an overhead smash? 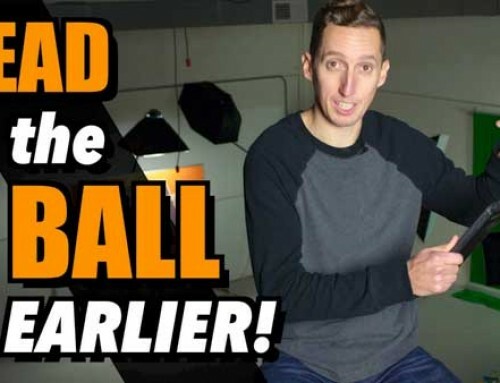 Simplified: Regarding overhead smashes: What is the best grip, footwork when retreating, body position with which to hit the ball; and how do you decide where to aim, and whether to use a smash or high forehand shot? Also, do you recommend choking up on the handle for net play? 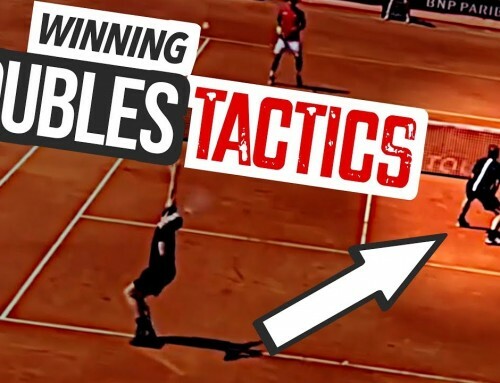 I really liked the strategy free video as to singles & doubles. A true foundation for both. I did not get much out of the free top spin serve video. Sorry. Hey. Thanks for all the info that you give on your website. I just wanted to know how we should play after thet serve. Is it true, for instance, that once I hit the ball towards the opponent then I cannot hit it back; that my partner should do it? (in doubles). That we keep alternating that way until the end. Can't I return the ball if it is returned staright back to me? I cannot view the videos, being in Ethiopia, they take a hell of a long time to load here, no matter the size. Thanks in advance. Thanks for the tip on where to hit while at the net. I will try this on Friday and let you know if it works. Excellent Strategy to improve my game. Great solid basic strategy tips Ian. I'd add one more tip — learn and practice how to hit the ball back down the same line it came to you at, ideally with different spins and/or speed, if that's in your tool bag. This applies to both singles and doubles, especially doubles. It's like a no brainer in doubles baseline rallies — forget the idea of actually thinking about whether to go cross court or somewhere else — disengage the brain and just return the ball down the same line it came from. No brainer — fewer mistakes. When you've simplified the strategy to returning the ball down the same line, when it comes back, if you've got some mental time, add some spin to the shot — literally taking the game vertical with either top spin or slice instead of confusing yourself with crosscourt or not. Going vertical with spin and/or power is basically the same thing as learning to change horizontal directions or hitting to a corner spot, only a lot easier mentally and generally more reliable technically. Furthermore, in doubles, heavy top spin or low skidding slices can give you the extra time you need to step from the baseline towards the net to close out the point. This isn't to say not important to also know how to change directions, go cross court, down the line, hit the inside out, or whatever is your fancy. That's all very important too. These techniques are all the foundation of good horizontal strategy and game. With today's powerful strings and racquets, it's also important to develop a powerful vertical (spin) game. Most every horizontal side to side strategy also has a kissing cousin in developing a strong vertical game using variable spins and power.. Happy New Year Ian, and thanks for the video. This was an excellent question asked by Charles, and I thought that the first part of the video was spot on relative to issues of the serve and return of serve as a generic strategic need in both singles and doubles. However, from my perspecttive, I thought the video fell flat in the second part, primarily because you got off message relative to "generic strategy" common to both games. I was looking to see if you were going to mention the strategy of the "ready" position, as that is obviously common to both games. But you didn't, in fact, I don't think I've ever heard you discuss this. But then again, perhaps you did at some point, and I missed it. Thanks again, Al. How about a little more advanced singles and doubles tactics. Maybe a video on point construction, shot selection, and ways to counter certain styles of play. As an advanced player we need something to maintain our interest. The advice to be able to go cross court into a corner over and over again is really powerful. A whole lot of good things can happen for you when you just keep hitting it back to that area. This was a super little video. You could have called it "Skills" or "Execution" . By any name it was very well done. After watching your video yesterday I watched the U.S,-France Hopman Cup tie. Alize Cornet was the strongest mixed doubles player on the court and put on a clinic in the first set and in the super tiebreaker demonstrating your doubles fundamentals. Another great and clear explanation Ian. You are a master at keeping things simple so we do not go to the courts with a ton of things to think about. the net I find it advantages to hit down the middle with depth. Thanks for the basic concepts. You explain things in a simple way which really makes sense! Keep the tips coming! Happy New Year. 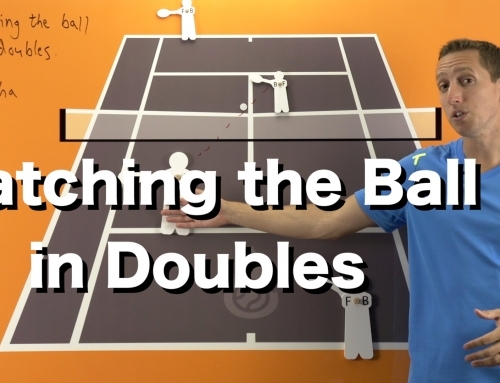 Thanks for this most informative video on both singles & doubles strategy. You remain my favorite on line tennis instructor. I have always been a doubles player only playing a small amount of singles when I first started in tennis 35 years ago (70 now). Sharing with us the basic elements of Singles and Doubles Strategy Foundations would be helpful to any competitive players seeking to fine tune his game. I consider myself a good doubles player. I was only an average singles player playing as a "B" when I first started. I never understood the strategy in singles. I once asked a friend who is a noted on line instructor how could one improve his singles play. He answered "hit the ball away from the opponent". I am sure that is a true statement but it didn't tell me what I should be doing to answer my initial question. In just a couple of sentences you just did. "Hit cross court, get your first serve into play and return serve. Wait for the short ball and hit up the line using top spin." That is the answer I was looking for. As to doubles, First serve in, return ball into play, a defensive volley goes to the opponent furtherest away from you and an offensive volley (put away shot) goes to the opponent closest to you at the net. Magical words for all doubles players to always keep in mind. That is why you are so dam good of an instructor. Thank you. I am going to captain a 4.0 55 and over team and I plan on passing your name on to all my players who are serious about improving their doubles games. Thanks so much for your kind words, it really means a lot to me. Best of luck heading up your 4.0 team! Keep me up to date on how you're doing. How about not hitting to your opponent to make him move out of his wheelhouse? Basic return away from his established stroke pattern? Confirms exactly what my coach has been trying to instill in me. Sometimes difficult when the ball is coming towards you at a fair pace. Yup, that absolutely complicates things. You'll get better at making those split second decisions with experience! Your videos are very precise and informative. Many online lessons are just too talky. In my opinion yours is the right balance of talk and visual instruction. Thank you. Thank you so much for the positive feedback, Sam. Greatly appreciated! Beautiful! Very, very useful b/c they're simple, rememberable, and so true! Glad you enjoyed the video, Edward!